Working my way South for family visits and research. Here are some highlights of the trip. First stop, Arlington National Cemetery. 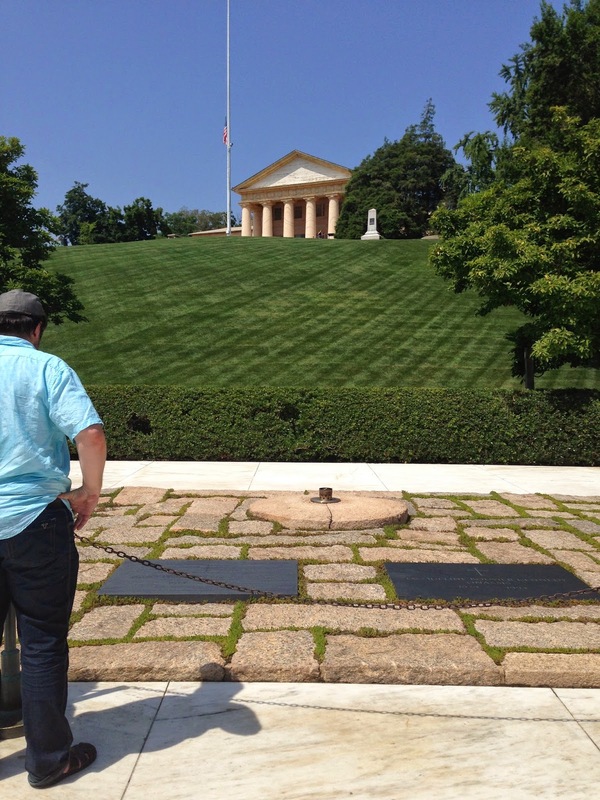 A view of Arlington House from the grave of John and Jacqueline Kennedy. Robert E. Lee married the step-great-granddaughter of George Washington in this house and made this his primary home until the Civil War. The Union army quickly occupied the site overlooking Washington, D.C., and as the war ground on and the death toll rose, turned it into a shrine to those who have given their lives to our nation. A good place to stop at on the approach to the Fourth of July. The changing of the guard at the Tomb of the Unknown Soldier. It was a sweltering day, but the guard did not show it. 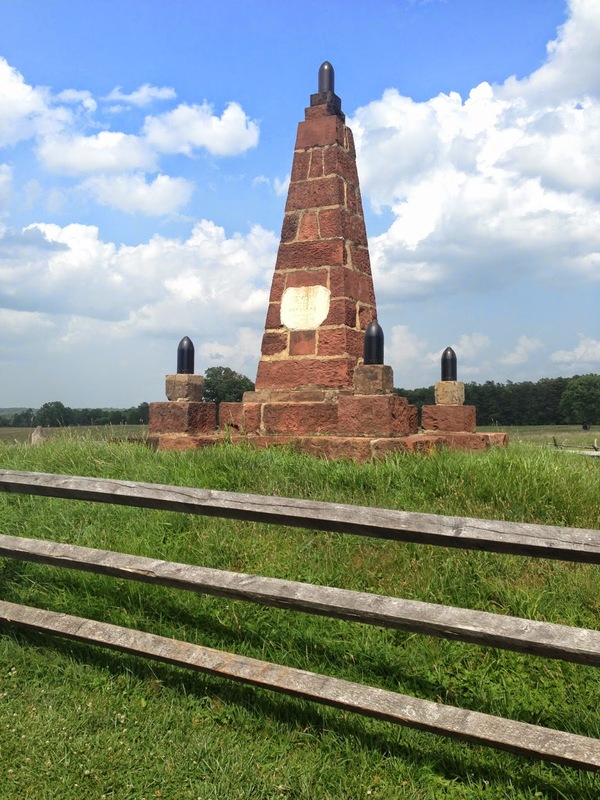 A little further south, a stop at Manassas Battlefield. The battle of First Manassas, the first major engagement of the Civil War, took place on July 21, 1861. The beautiful countryside belies the terrible carnage that was a harbinger of the battles to come over four grueling years. One of the earliest memorials to a Civil War battle, this was dedicated in June of 1865. General Thomas "Stonewall" Jackson earned his sobriquet at Bull Run. There is a life-size equestrian statue of him in the park, one of many, many memorials to "Stonewall" in Virginia. Further south, Clovis and I stopped in Lexington, Virginia, where both Washington and Lee University and the Virginia Military Institute are located. "Stonewall" Jackson taught at VMI and so there are many more monuments to him there. 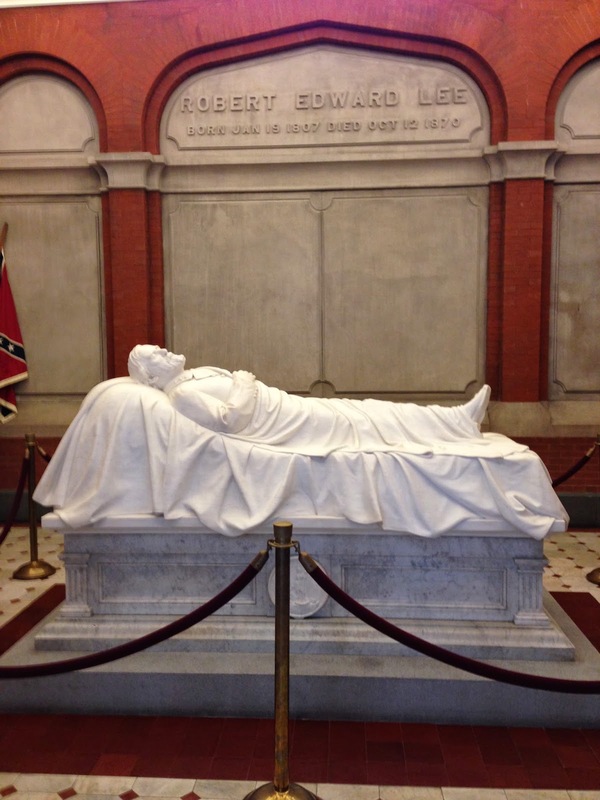 Washington and Lee is the burial place of General Robert E. Lee and his family as well. Lee was president of Washington and Lee after the war and died there in 1870. Almost immediately, planning began for an elaborate memorial, further embellished over the years. The United Daughters of the Confederacy were instrumental in many Confederate memorials throughout the South. Lee's famed horse Traveler is also buried nearby. 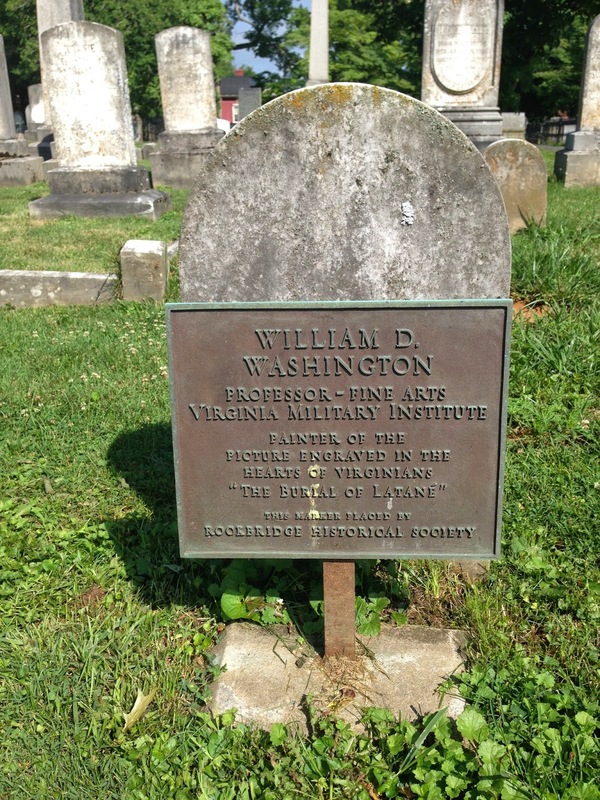 Lexington is also the burial place of Southern painter William D. Washington, painter of an iconic Confederate painting, The Burial of Latane. 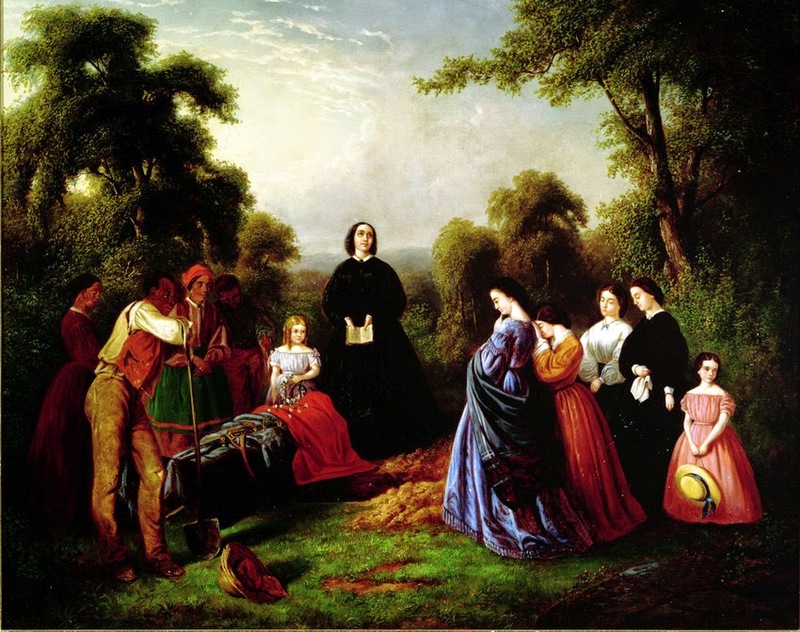 The painting, completed in 1864, memorialized the death of a cavalry officer killed during one of General J.E.B. Stuart's famous exploits. A poem inspired the sentimental painting, which was reproduced as an engraving and widely owned in the South after the war. 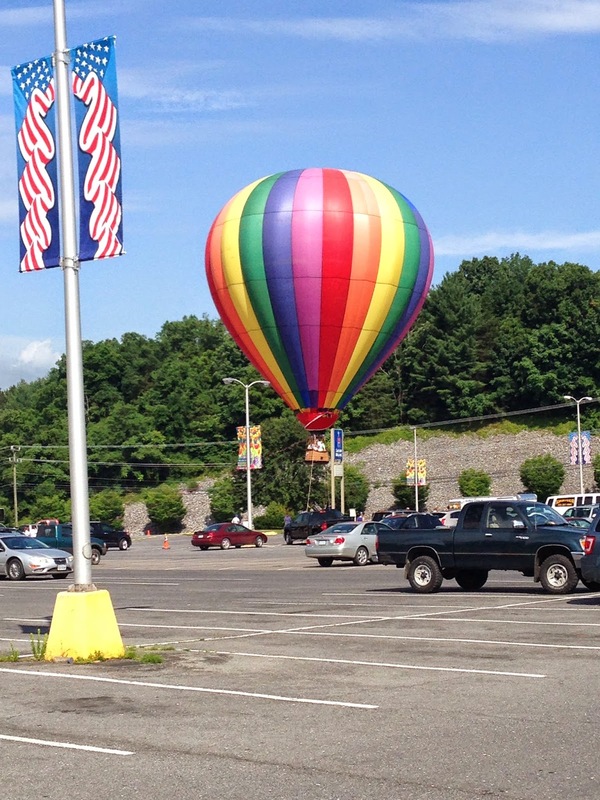 Enough with the Civil War minutiae, how about a balloon ride from a parking lot? Or this interesting find in a Lexington antique shop. A Lyle Gun for $1,875. The U.S. Life Saving Service (from 1878 to 1914, predecessor to the Coast Guard) used this gun to launch the rope used in the "breeches-buoy" method of life saving. When a ship was wrecked close enough to shore, a line would be shot from this small cannon to the ship, where it would be secured to a mast and raised on a large crutch above the surf. Then a pulley system would be put to work to bring survivors of the wreck safely to shore one at a time in a pair of canvas pants attached to a life preserver. You never know what you'll find.